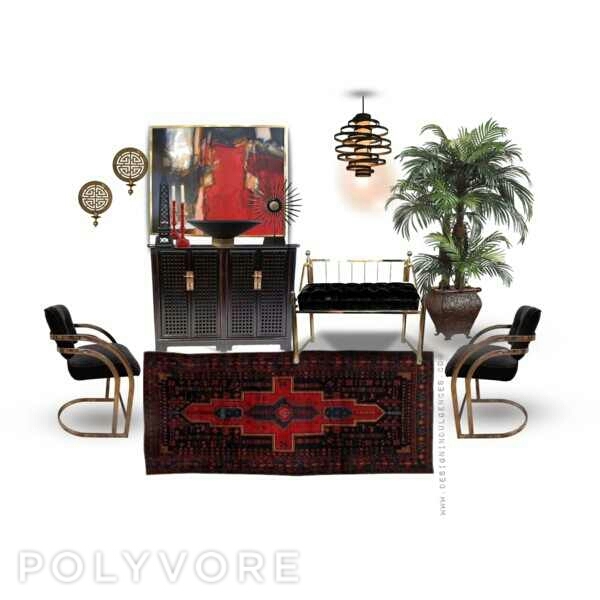 I have been challenged to pick some vintage pieces from Chairish to create a styleboard featuring one of my favorite picks. 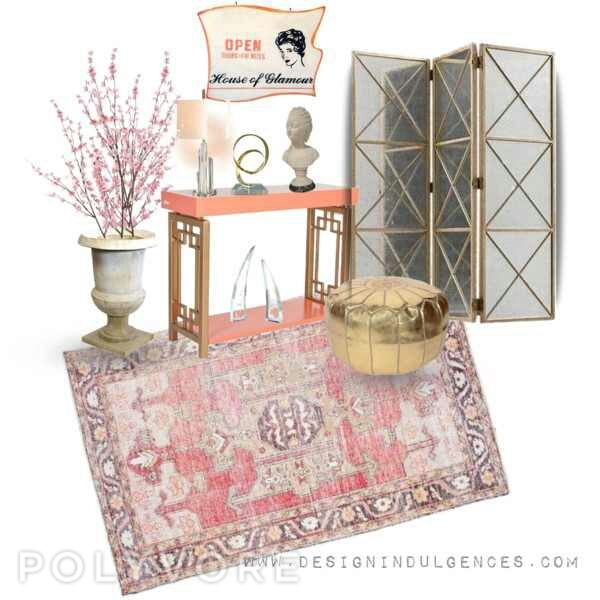 I loved the vintage Persian Bidjar rug and decided to make a few styleboards around that rug. Then I ended up spending a bunch of hours lost on their website in a black hole of beautiful goodies that made me wish I were rich. I swear there is so much good stuff being sold on that site. 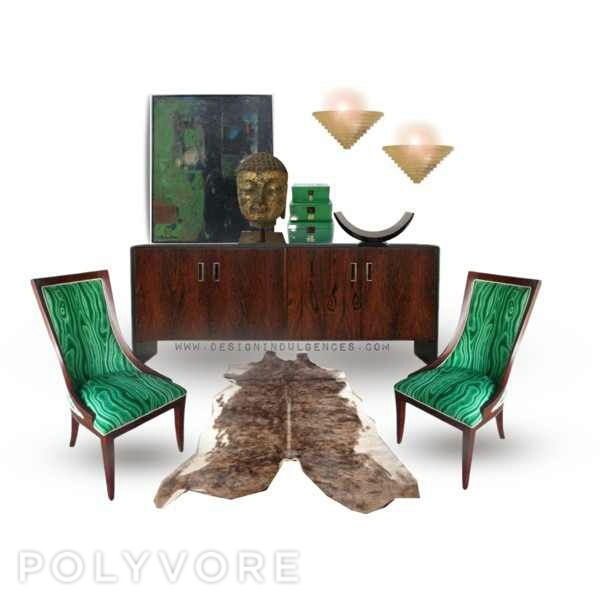 Basically Chairish is a site where people can buy and sell vintage decor, furniture and art. The items are carefully curated and it has an etsy/ebay feel where you’re buying from trustworthy sources and owners. Then I had to create something girly and glam with a blush pink palette, mirrored and lucite finishes & a pop of gold. This would be a pretty entryway area that is sure to set the tone of anyone who comes in for the first time. You have a pouf to sit on and take shoes off after a long day of work, a mirrored screen to check your hair one last time before stepping out and a place for keys. I added the bust and vintage sign for a little whimsy. Lastly using the same vintage Persian rug, I styled a sitting area. 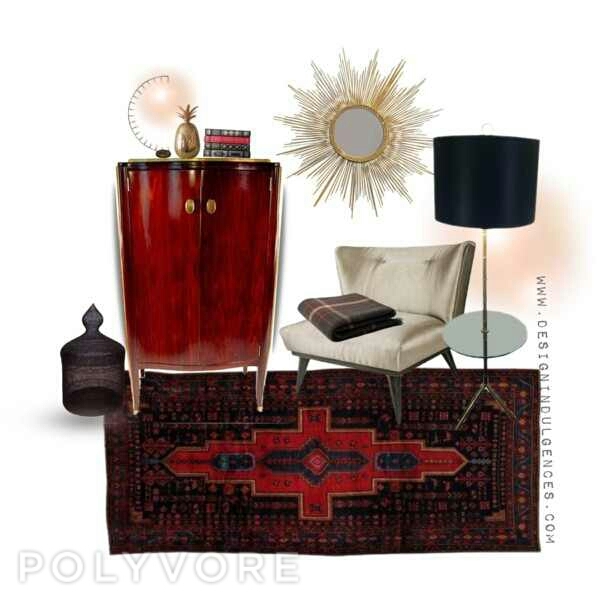 I forgot to include a coffee table but if I did, I would pick something with glass so that you can see and appreciate the beauty of the rug. There are some Asian influences in this space with the color scheme, the brass fretwork wall sconces and the contemporary Asian latticework buffet. So which styleboard do you like the most? Every single item with the exception of plants were found on Chairish. Previous Post Remember when I blogged about putting chairs in odd corners?